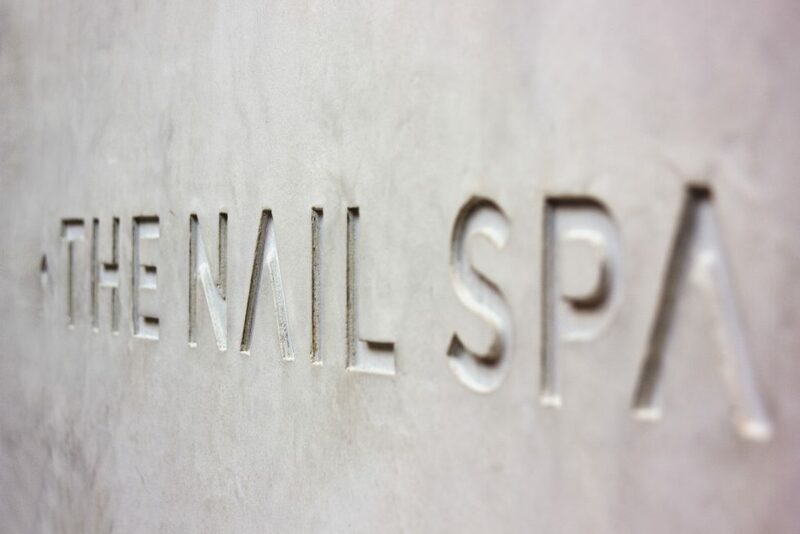 The Nail Spa brand name, visual identity and retail environment by the UK office of creative agency Design Clarity mirrors the simplicity of this London beauty brand’s ethos; offering simple, beautiful and affordable luxury. A minimalist, calming space designed to reference elements of nature with a restrained and refreshing aesthetic. 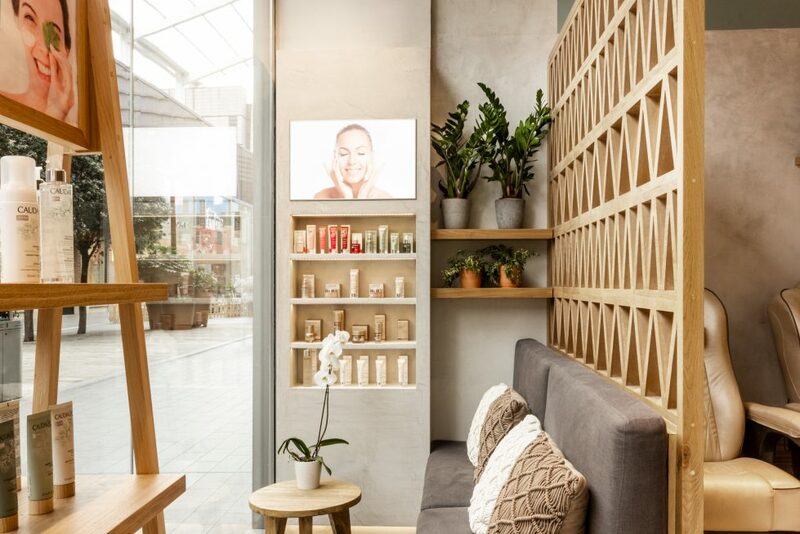 Urban Retreat the concept embraced by our design team to envisage a calming, casual and uplifting space in contrast to the visual noise of the bustling retail mall environment. 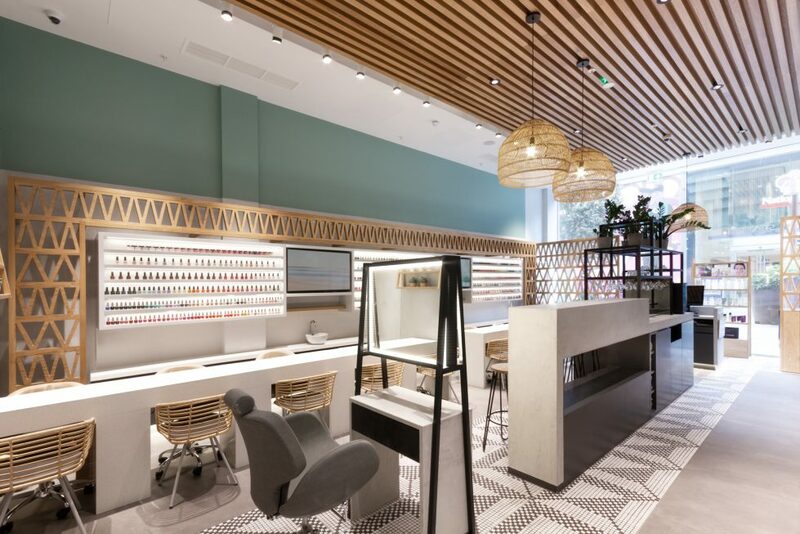 Owner of two other salons, this concept for The Nail Spa was developed specifically with the Westfield Stratford customer and format in mind. 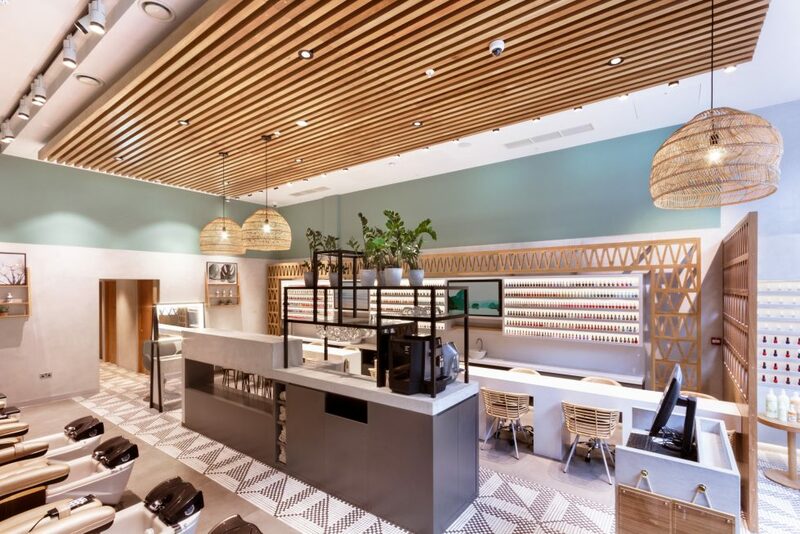 With ceilings over 4 meters, the relatively small footprint and Dulux 17GG 40/107 walls give an illusion of generous volume and spaciousness. The central island is a key touchpoint requested by the client housing the main/pedi drying bar, drinks station and essential storage. 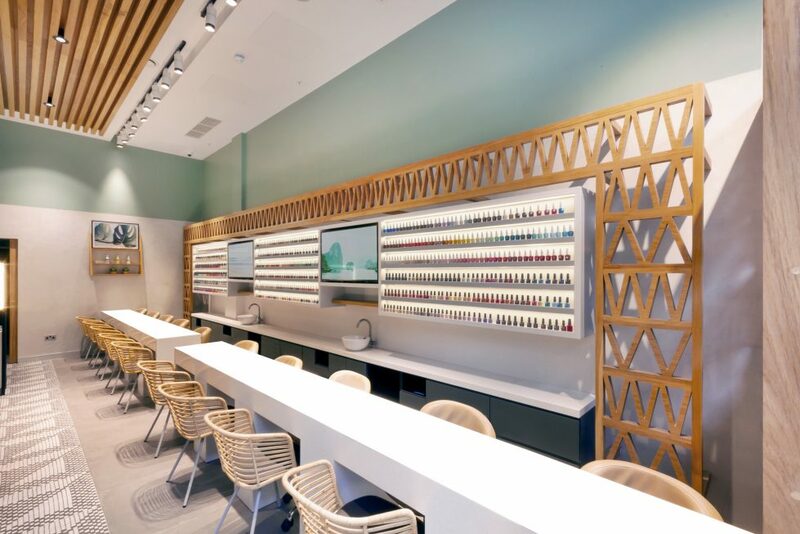 There’s 8 pedicure stations, 10 manicure stations, custom illuminated nail polish display that showcases over 2000 colours, 1 massage treatment room, 2 x waxing rooms, as well as generous staff and customer amenities. 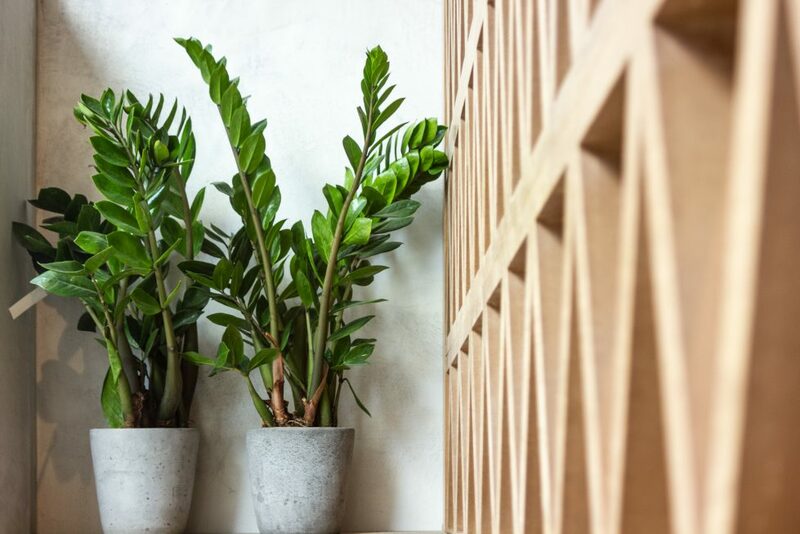 In the reception, we used our go-to indoor plant for busy retailers. The hardy Zanzibar Gem beams vitality and lushness yet thrives on neglect! 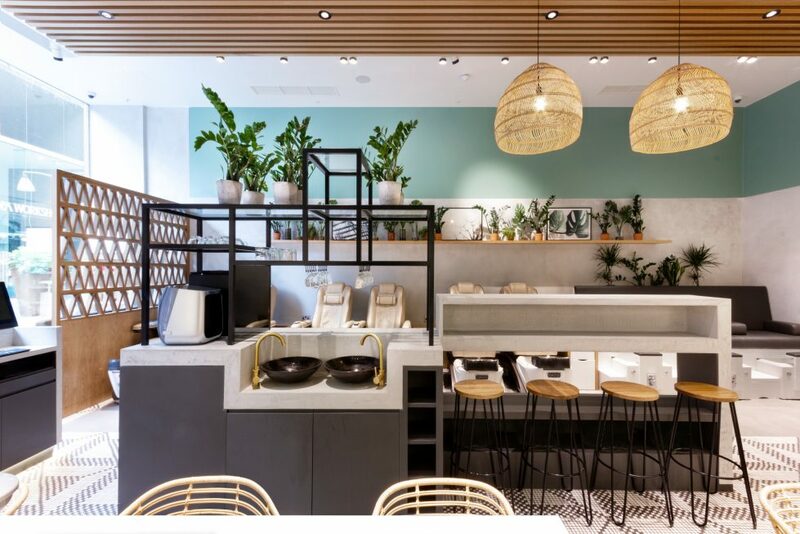 Investment in bespoke timber screening and signature brand detailing was a value-add splurge in this super cost-effective and sustainable fitout. 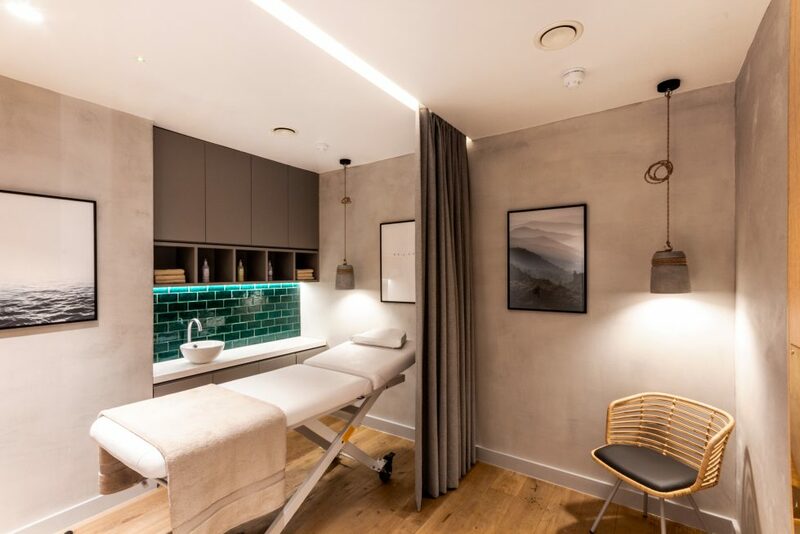 All aspects of the design circle around maximising privacy, comfort, express treatments and personalised service for time-poor customers. Affordable luxury, valuable me-time and the added bonus of an insta-friendly experience to share with friends.